Confusing REScheck Energy Codes IECC 2015 and IECC 2018 Rescheck,Manual J, Manual D, Manual S | $79 RESchecks & Manual Js. $79 Any Plan. Any State. You need a REScheck report to build your home. You know where your home will be built so it should be as simple as creating a REScheck report based on your structure. REScheck reporting was developed to help mesh all the parties involved in home construction together and put them on a singular path to building more efficient homes. Almost as soon as a singular REScheck system was created, different states and jurisdictions began modifying it. What we will discuss today is a look into which types of codes are most prevalent on the REScheck reports we see, and which states have developed their own reporting system. 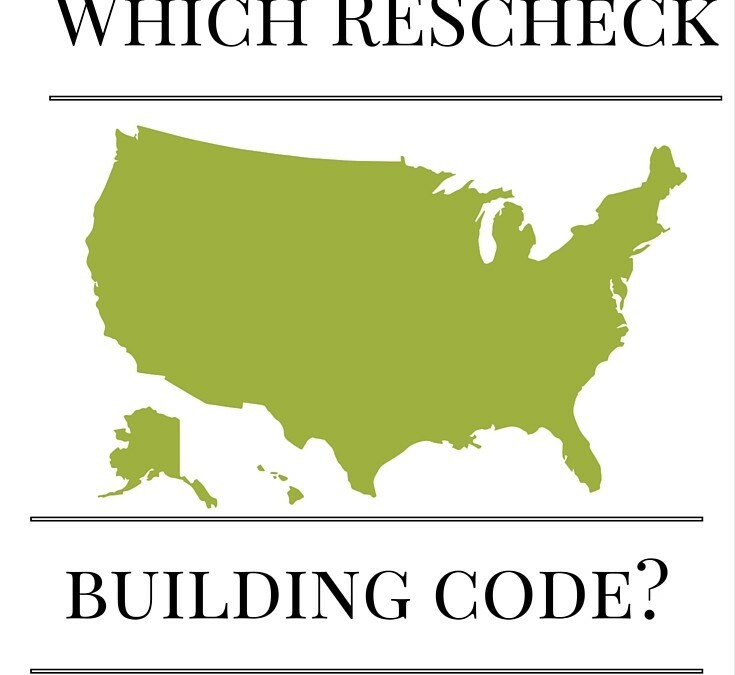 The most common code we see today is the IECC 2012 when it comes to REScheck reporting. There are several states that still use some older versions as well. Our team at REScheck understands this code inside and out. The second most common REScheck code we see is IECC 2009 when creating REScheck reporting. This is a suitable report as well for many building departments across the country and allows them an easy way to see if your home is suitable for your climate zone. The building code gaining the most momentum in 2006 is the IECC 2015 code. We have fully prepared for this code to be adopted in many locations this year. We are seeing far less IECC 2015 REScheck reports than anticipated, but we continue to train and prepare for the increased usage of this most recent update. We have heard from several other states and municipalities who needed REScheck.info’s consulting services to help create their own custom REScheck reporting systems. These updates are presently in the works and legislation is anticipated to be drafted very soon. If your city, state, or community needs help adopting REScheck energy audits into your code system please take a look at our municipality solutions. We are familiar with all of these REScheck reporting systems and can create a report for all of them. We charge only $79 and enjoying working with homeowners, builders, building inspectors, sub contractors, architects, draftsmen, and others all over the United States. No matter what your code is, changes are REScheck.info created a custom REScheck energy report for it today, and we can handle yours as well. Try the REScheck service that was created with you in mind. Has your building department recently held public hearings on including REScheck reporting in their code system? Or if there is a specific state’s energy code you would like us to discuss in further detail, let us know on Facebook, Twitter, Pinterest, Houss, or Google Plus.